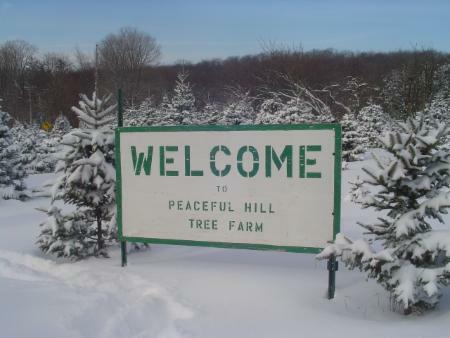 Christmas memories begin at Peaceful Hill tree farm where you can choose and cut your family christmas tree. 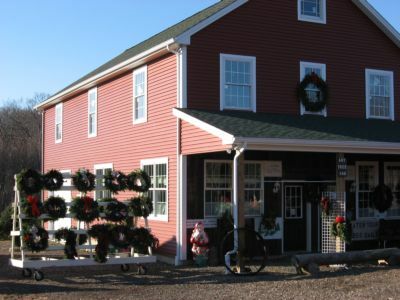 We are a family owned christmas tree farm on preserved land celebrating 25 years in business. There are over twenty varieties of trees to choose from. Large selection of wreaths, greens and huggies. We also have pre-cut trees available. and displays an operating scenic railroad. and other refreshments are available for purchase. We are open from the day after Thanksgiving Day thru Christmas Eve. Receiving the 2009 Connecticut Tree Farmer of The Year is an honor to us. Peter and Arlene has done.